A stompbox size audio toolkit for on stage, in studio and everywhere in between. Includes a quiet high gain mic-pre, 48V phantom power and enough I/O and control for applications such as FX Loop for microphone signal processing (vocals, horns, strings, etc) , signal splitting and combining, complete re-amp setup, impedance and gain matching, mixing and more. 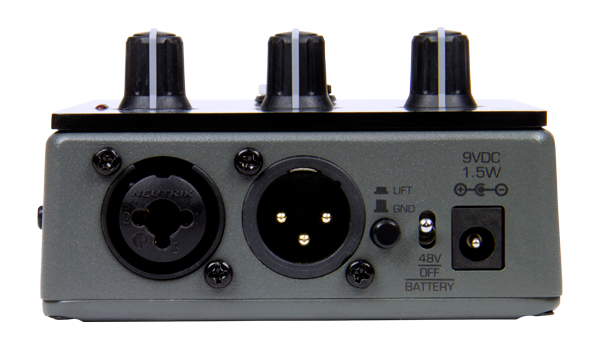 Use the MixingLink as a compact studio mic pre for recording with Pro Tools, Ableton, or any other D.A.W. 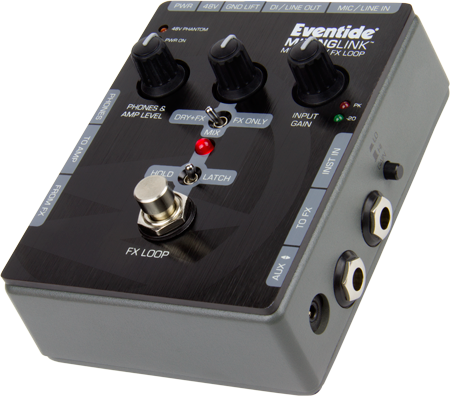 Use the MixingLink to connect a microphone to your favorite stompbox(es) to add effects to your vocals. Use the MixingLink as a hotel practice amp. Use the MixingLink as an A/B Box to switch between two instruments. Use MixingLink to split and bend one instrument between two amplifiers. 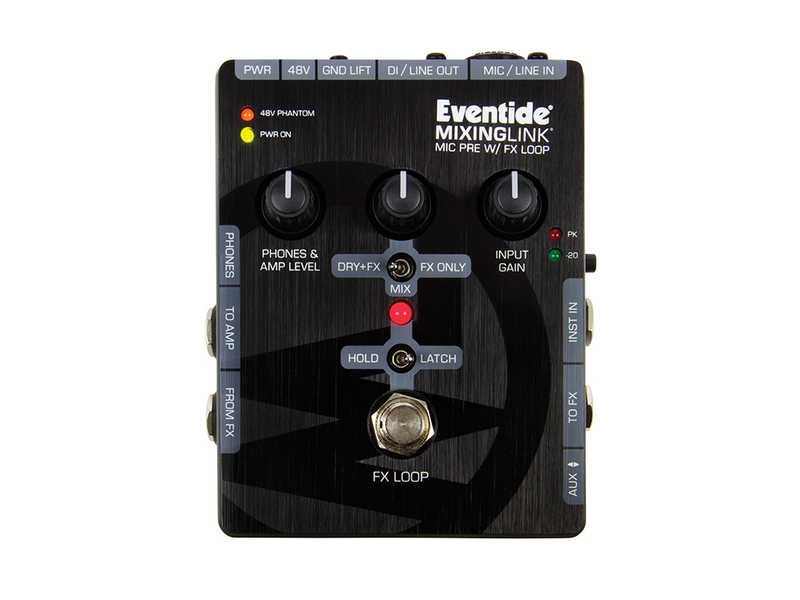 Use MixingLink as a mixer to connect multiple sources to an amp or headphones. For those looking for an all-in-one studio and stage routing solution in a compact form factor, this is the finest option out there. ...if you’re looking for a true All-In-One, Swiss Army Knife recording, practicing and on-stage tool, you should definitely check out the MixingLink Preamp. Ideal for any creative and adventurous music producer looking for a new sound or technique, MixingLink is superb for interconnecting any pieces of gear together. "Mic Pre with FX Loop," is so much more than that...The practical applications are endless! 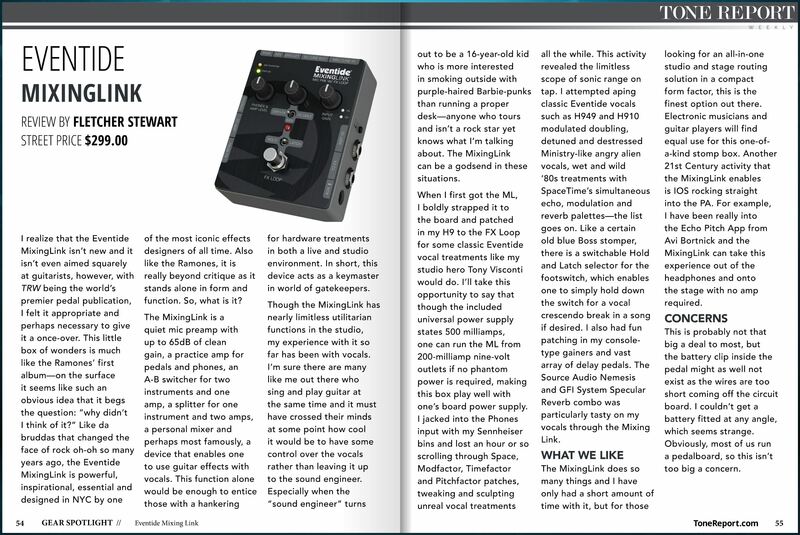 Clearly, a lot of thought has gone into making the Mixing Link as versatile as possible...'Swiss Army Knife' is thoroughly deserved in this instance!